I was in the Smithsonian Museum of Natural History this past week. 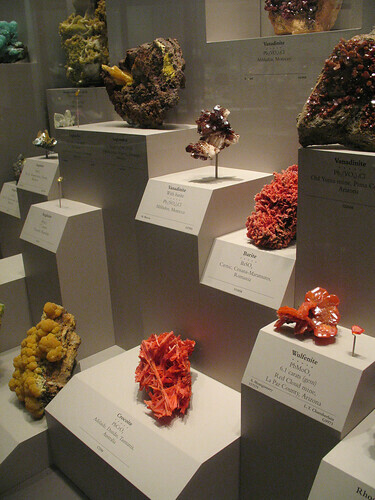 My childhood fetish for rock-collecting came back in a rush, and the Minerals and Fossils sections filled me with a deep hankering to build my own rock display. Maybe a bit smaller, and with a less eerie museological lighting—though the spotlit chiaroscuro at the Smithsonian was kind of neat, like something a James Bond villain would have right next to the shark pool. You could put one of these on a spotlit shelf in a dark corner, or in a boring corridor, or next to your bed. Think how North American decor would be instantly improved if every single gilt sunburst mirror were replaced with a rock. Even a small boulder! 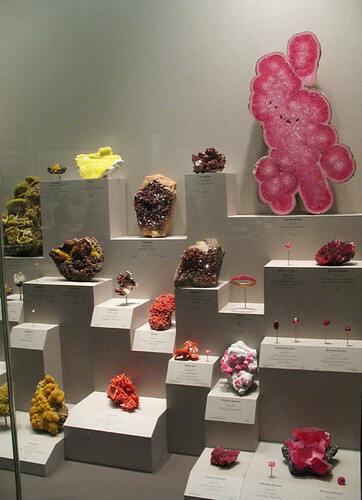 You wouldn’t need specimens as nice as these ones, which are probably all the bounty of sketchy mining practices. A nice piece of rock from the local landscaping place, or even dug up in a garden, would be fine. My ecologically-minded boyfriend disapproves of my rock-collecting (“what if everyone took a nice rock off this beach!”), so I’m trying to limit myself. 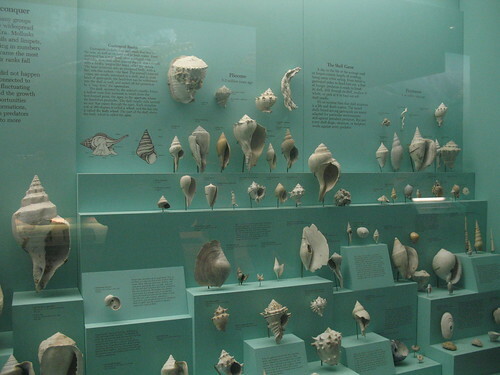 I keep thinking of Steven Wright’s line “I have a large seashell collection… which I keep scattered on beaches all over the world. 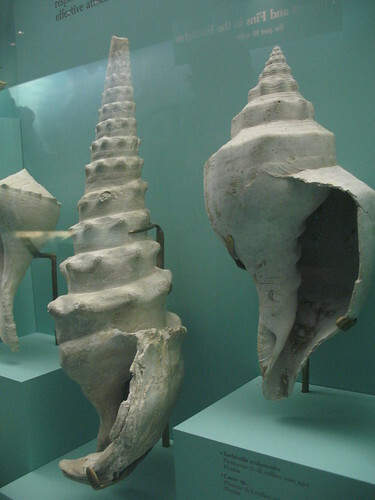 Maybe you’ve seen it.” Recently I went and returned some some of my shells to the beach from whence they had come. And I’m pretty sure they were collected by someone else about 7 minutes later. 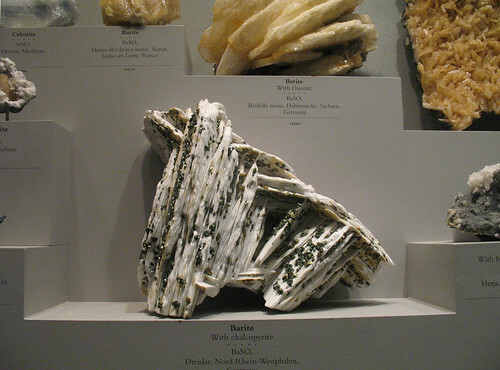 When I was a child I was a member of something called Mineral of the Month Club. Our family was always quite broke so the subscription fee must have been pretty cheap. Every month a little box containing a small outcrop of crystals or a bit of ore arrived in the mail, along with a little folded information sheet. You also got a sort of passport booklet when you joined, and you’d record each specimen as it arrived. There was also a little paper code number glued to each sample, which I’d spend ages soaking off because it ruined the appearance and I wasn’t interested in categorization by number. I was more interested in arranging the rocks by various arbitrary criteria (little landscapes, colour), and in any case I had memorized what each one was. Eventually the company folded. This was very sad at the time, but luckily there was a little Vancouver lapidary shop and I just started to spend most of my weekly allowance there. I later found out from Vancouver writer Michael Turner (you can read about it somewhat obliquely in his novel The Pornographer’s Poem) that the owner was kind of a pervert with kids, and I’m now sorry he got my allowance. 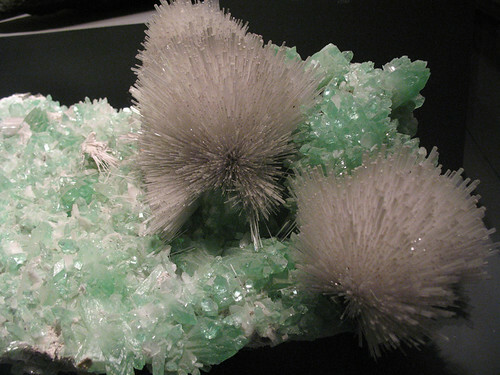 A few weeks ago on a strange whim I searched online for “Mineral of the Month Club” – I guess I was hoping to come upon some nostalgia or maybe a nerd forum – and discovered that the club has been resurrected. So I bought an online subscription for my nephew Sam for his birthday. When I excitedly emailed the company to explain that I’d been a member of something similar as a child, the new founders, an extremely nice lapidary-nerd couple from California, wrote back saying they hadn’t realized the club had any predecessors until people began to mention it to them. My collection wasn’t on the wall, though; it was in a low, flat, compartmented vintage wooden cigar box my aunt gave me. I still have it. PS. For anyone who wants to cure themselves of or at least understand the urge to collect, Susan Stewart’s book On Longing: Narratives of the Miniature, the Gigantic, the Souvenir, the Collection is very helpful, if difficult. UPDATE: This is the most huckstery thing I’ve ever said on this blog, but mention this blog to Cheyenne at Mineral of the Month Club when you get your subscription, and she’ll give my nephew Sam another month free. And I will thank you here. This entry was posted on Monday, October 19th, 2009 at 3:18 pm	and is filed under design, DIY, furniture, interiors, on the fridge. You can follow any responses to this entry through the RSS 2.0 feed. You can leave a response, or trackback from your own site. I loved these photos when I saw them on your flickr. So beautiful. 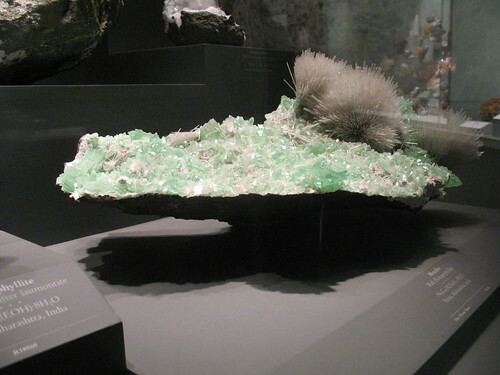 Awesome that in your kidhood (and again now) you were a member of the Mineral of the Month Club! Doesn’t get much cooler than that. Hey everyone, Cheyenne of Mineral of the Month Club says that for everyone who gets a Mineral of the Month Club subscription and mentions me or this blog post, my nephew Sam gets a free extra month, which was very nice of her. I know that may not be much of an inducement for you, but think how Sam will feel! The first mineral he received is a beautiful ochre crystal called creedite.